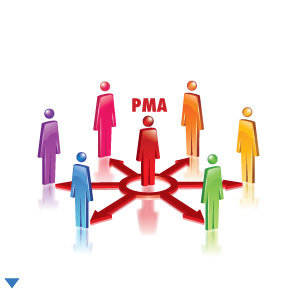 PMA works with a team of professional marketing consultants, photographers, copywriters, printers, web developers and sign companies to fully support your marketing strategies and to ensure that your image is branded consistently and as effectively as possible. I'm Betsy McGrew, and my professional career as a graphic designer began in 1974 in a print shop where I learned every aspect of the process from concept to completion. That on-the-job training has been invaluable. It taught me how graphic design relates to every imaginable combination of ink, paper, press capability, and bindery operation. When time is of the essence, this experience serves to expedite orders with velocity. I started my own business, PMA Graphics Studio, LLC, in 1984 producing catalogs for a national distributor and classroom workbooks for an international publisher. I have worked with many clients for decades, and for over 20 years, 100% of my business has come through word-of-mouth referrals from satisfied clients. I have I worked with the Governor's Office for Domestic Violence Prevention, the Maricopa County Sports Commission and the City of Mesa as well as several Fortune 500 companies. I specialize in helping small business owners and entrepreneurs. My vast experience includes everything from direct mail campaigns, newsletters, brochures, flyers, business forms and stationery. I have also won two logo design awards from prestigious paper companies. I am a print media specialist. In fact, if you've ever had an idea for your company, specific to your industry, chances are I've been there, done that, and designed the T-shirt. I have also consistently participated in Landmark Education courses since 2003.